I love gnocchi but I usually use store-bought gnocchi. Only once before, did I attempt to make home-made gnocchi. They tested good, but failed aesthetically. This was my second try and the trick is to get the proper balance between moist and dry ingredients. Try to remove as much of the liquid in the ricotta cheese and definitely test using one gnocchi whether the dough will hold together. 3. In a medium bowl, combine the drained ricotta, egg, salt, pepper, green onions, and Asiago or Parmesan. Gradually add the flour, 1/4 cup at a time, using your hands and blending just until the dough holds together. Remove 1 teaspoon of the dough and roll into a ball on a floured surface. Drop into the boiling water. If the piece falls apart, add more flour to the dough, 2 tablespoons at a time, until it will form a ball. Repeat the cooking test until the dough holds together and floats to the surface. 4. Divide the dough into 4 equal parts. On a generously floured board, using your hands, roll each section into a rope about 1 inch in diameter. Cut the ropes into 1-inch-long pieces and slightly indent with a fork. 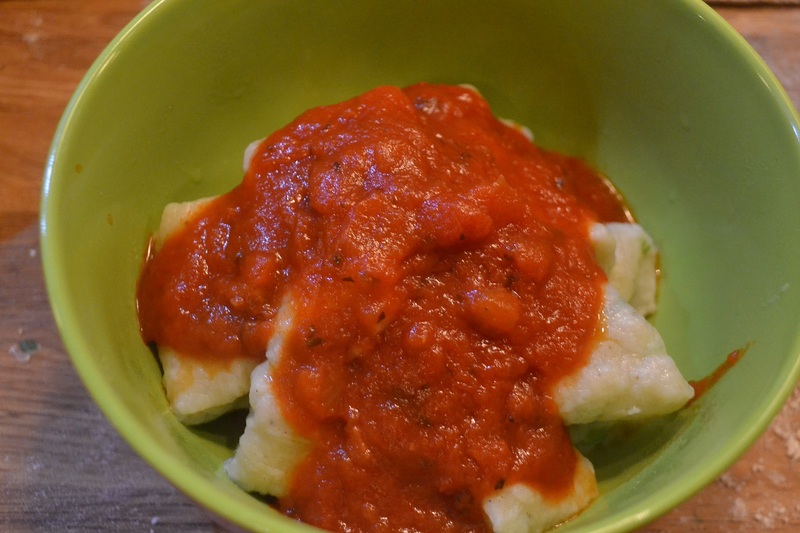 If you are not using the gnocchi right away, cover them thoroughly with flour and store in the refrigerator or freezer. 5. Drop the gnocchi into the boiling water. Stir gently to prevent sticking. When the gnocchi float to the top, they are cooked. Remove with a slotted spoon to a serving bowl. 6. Meanwhile, heat the sauce in a medium saucepan over medium heat. Top the gnocchi with the sauce. Kitchen Tip: Gnocchi will keep in the refrigerator for 1 to 2 days and for months in the freezer in an airtight container. * Ricotta cheese is a great source of protein and calcium. It also is a good source of omega-3 and omega-6 acids. Ricotta cheese is also loaded with phosphorus, zinc, and selenium. It also contains a lot of vitamin A, riboflavin, and vitamin B12. 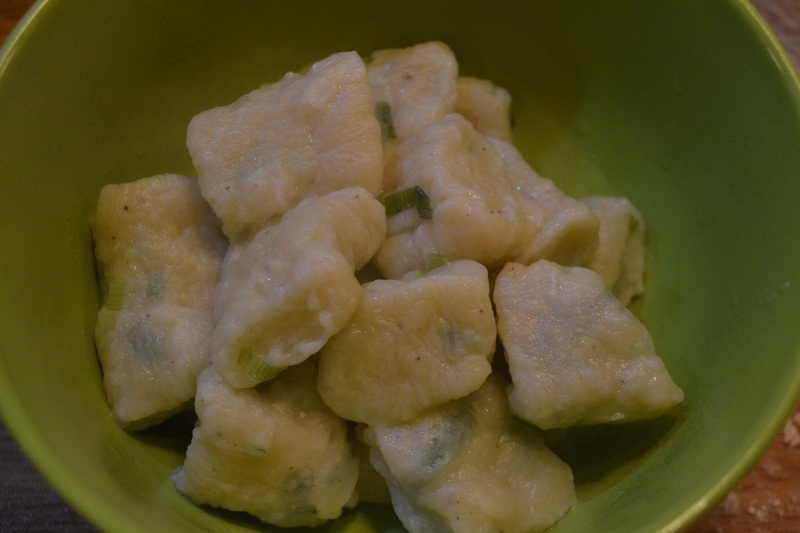 * Green onions (also referred to as Spring onions) are rich in vitamin K.
Categories: In The Kitchen, Main dishes | Tags: gnocchi, green onion, ricotta, vegetarian, year-round | Permalink.